At the Boulder Public Library, patrons’ library records are strictly confidential. 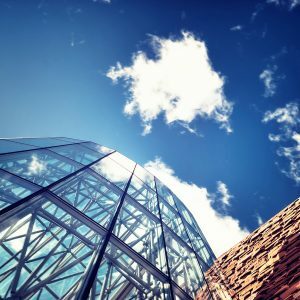 The Boulder Public Library follows section 24-90-119, Colorado Revised Statutes, which requires all public libraries to guarantee the privacy of patron records except in limited circumstances established by state law. Information about patrons’ borrowing, search, or reading history, and records or other information that identifies a person as having requested or obtained specific materials or service or as otherwise having used the library, may only be disclosed pursuant to subpoena, upon court order, or where otherwise required by law. Patrons are given the option to provide an email address, work or business telephone number, and a birth date or year. If patrons forget their library card, they can check out and retrieve account information with photo identification. Patrons should report any loss or theft of their library card to the library immediately. When library items are borrowed by a patron, a record of these items is retained so the library can contact patrons if items are not returned. Once items are returned and checked in, a system identification number indicating that these items were the last checked out on the patron account remains until it is checked out and returned by the next borrower. This is necessary to make sure any damage to an item can be attributed to the appropriate borrower. Once the next borrower returns the item, the association with the previous patron account is removed. Once items become overdue will remain associated with the patron account until the late fee is paid. A history of the fines paid is maintained for a minimum of 6 months to provide data for fees that are disputed. Items that become 5 weeks overdue and not returned to the library, replacement costs are billed to the patron account and remain associated with the account until the bill is reconciled. Certain optional account features will result in retaining additional patron information. Maintaining a reading history is an opt-in feature which tracks an ongoing list of the items patrons have checked out even after they have been checked in. Maintaining a search history is an opt-in feature which tracks a list of the search criteria patrons have used to search the library catalog. Approved by the Library Commission on June 4, 2015.